“For my life, I have pictured [the purpose of my ministry] with one word: Coach. I am writing this book because the passion of my life is to coach people to coach others,” writes Bob Kellemen, and he does not disappoint. Combining pastoral experience from three very different churches, with a long tenure as a seminary professor and church consultant, makes him the ideal man to write this book. Equipping Counselors for Your Church is a valuable contribution to biblical counseling literature and church leadership resources. Passionately Biblical – There is no question throughout his book that Kellemen’s passion is to help churches discover and implement a biblical strategy for equipping believers for the ongoing work of discipleship that grows out of sound theology. “My vision is to equip you to build an equipping culture. God’s fundamental vision for Body growth focuses on every member speaking the truth in love one to another in every situation….It’s everywhere. It‘s in Ephesians 4:11-16; Ephesians 5:19; Colossians 3:16; Romans 15:14; Hebrews 3:12-13; Hebrews 10:24-25; Philippians 1:9-11; 1 Thessalonians 2:8; 2 Timothy 2:2; Matthew 22:34-40 with Matthew 28:16-20. God’s end goal is for every member to be a disciple-maker who speaks and lives Gospel truth in love to help every member to grow in content, character, competence, and community.” Chapter Seven, “The Resumé of the Biblical Counselor” was especially excellent! Accurately Focused – Kellemen rightly plants biblical counseling in the soil of biblical discipleship. 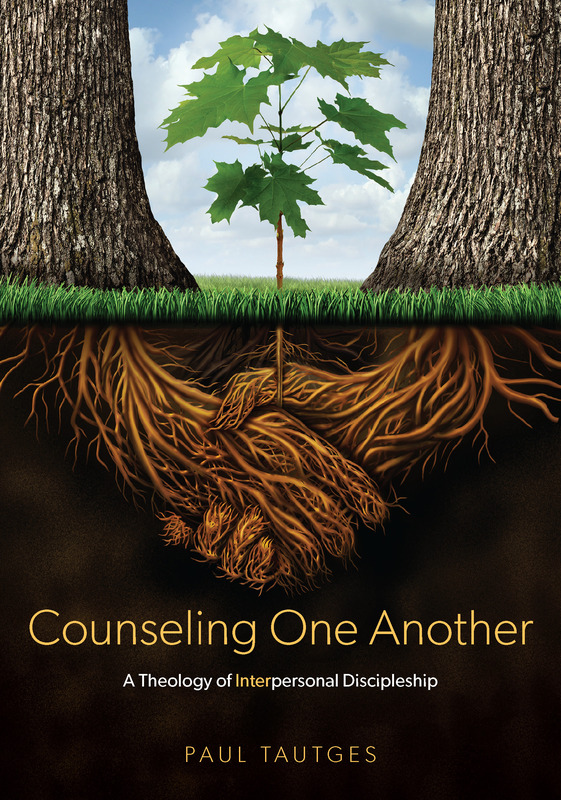 “One of the problems with the way we have defined biblical counseling is that we have made it about problem-solving. We’ve made it a sub-set of discipleship focused on reactive work with persons struggling with sin. Instead, we should think of biblical counseling as another word for comprehensive personal discipleship. Biblical counseling is focused one-another ministry designed to fulfill the Great Commandment and the Great Commission. We don’t want to create the ministry mindset where the only way people can relate to one another is by discussing their problems.” The author repeatedly calls us to formulate a Word-saturated, Bible-focused vision and process for our churches. Immensely Practical – The 4E Strategy is replete with time-tested wisdom. In this book, Kellemen has removed all our excuses for not having an intentional equipping strategy in our local churches. After laying a biblical vision for pastors who equip others toward the goal of life-transforming one-another ministry in the local church, the author gives practical counsel galore for developing and carrying out an equipping vision. Save time and energy by learning from the author’s successes and failures (which he humbly and transparently reveals for our benefit). Resourcefully Abundant – Rather than doing the hard work of diagnosing our church’s condition and casting a biblical vision for future ministry, the author gives to us all the resources needed to walk our own leadership team through the necessary process ourselves, thus creating and maintaining ownership. However, alongside step-by-step guidance, Kellemen also provides some concrete examples from his own ministry experience so that we are not working in a vacuum. After perusing the 80 pages of appendices, this reviewer can’t think of any practical resources that have not been included. One Negative Reaction & One Regret – The only negative reaction that I had while reading was that in some places the book could be leaner, a bit more edited/trimmed (coming in at 368 pages), but this reaction was minor. The only regret I had was that the book had not been published earlier. It exposed my own lack of effectiveness at developing a concrete, measurable equipping strategy for our church. Thankfully, my feelings of “Where were you 20 years ago, Bob? !” were eventually overcome by a renewed fervor to re-evaluate our strategy and re-work it in a more intentional manner. And this book will be by my side when doing so. Equipping Counselors for Your Church is like having a personal conversation with a private consultant who is committed to coming alongside church leaders—walking step-by-step and hand-in-hand—to equip us to empower the Body of Christ toward biblical, one-another ministry that progressively moves believers toward Christlikeness. I highly recommend it!